Is Drinking Coffee Good or Bad for Cold Sores? » Is Drinking Coffee Good or Bad for Cold Sores? 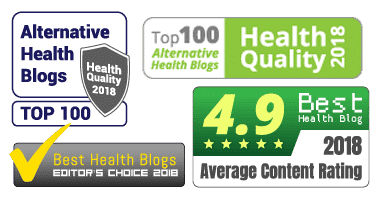 Medically reviewed by Emina Ribic (MD) on August 21, 2018. Written by Linda White (MD). How Does Caffeine Affect Your Immune Health? How Much Caffeine Is Safe to Drink? Does Putting a Coffee Paste on Cold Sores Help? Coffee is the drink of choice for millions of American’s. Often, people who are prone to cold sores are concerned that caffeine ‘may’ be what’s actually triggering the herpes simplex virus (HSV-1). If you do regularly get recurrent cold sores, the last thing that you should do is consume a caffeinated drink that could be increasing the number of outbreaks each year. There is little proof that coffee could be a problem when consumed in moderation (1 or 2 cups of coffee per day). The stimulating properties can keep you awake or result in sleep deprivation. Coffee can lead to the depletion of your immune health. Conversely, other experts believe that coffee and coffee bags may have healing properties. These findings are based on laboratory research that was performed on rats (not humans). We are now going to take a more in-depth look at the subject to find out if drinking coffee is good or bad when you’re prone to cold sores. Keep reading to explore the topic and find out if it is your love for coffee that’s triggering herpes simplex one outbreaks. Because coffee is a stimulant, it may be awakening HSV-1 due to the high level of consumption. While a single cup is unlikely to be an issue, the consumption of too much coffee could be problematic. Used to jump-start your day, some people can become dependent on coffee (and energy drinks, such as Red Bull). Unable to function at peak efficiency, coffee (or caffeinated drinks) can act as a crutch. Pumping caffeine into your body in large amounts can increase your blood pressure and leave you feeling wired. This can become a problem as your body attempts to shut down at the end of the day. As times goes on, much more caffeine needs to be consumed to achieve the same effect. So, does coffee make cold sores worse or better? Let’s see. Is Coffee a Good Thing? A study published in the International Journal of Molecular Medicine noted that the compounds found in coffee could inhibit the growth and cell replication of herpes. The main caveat is that coffee might not be beneficial if an active outbreak has already infected the tissue. Placing a fresh coffee bag/pouch on the lips gained some traction among people who prefer to use home remedies for cold sores. Unfortunately, if coffee is to be used to ‘treat’ cold sores, it must be applied to the site of a cold sore at the first sign of a problem (during the prodromal stage). Because coffee, like any beverage, only makes contact with your lips for seconds, so there isn’t sufficient exposure for it to be beneficial. But, a coffee bag/pouch that’s applied directly to the lips or mouth area would change that process altogether. But, does it help? At this time, there is no conclusive evidence to confirm that coffee is beneficial to the healing process. Is Coffee a Bad Thing? Drinking too much coffee can lead to disruption to the REM sleep cycle – more on that later in this article! Coffee is a diuretic. HSV-1 can enter the body (and is triggered) by small cracks in the lips. If you drink many cups of coffee in a 24-hour period, and insufficient water is consumed, it could cause dehydration. Cracked lips are a likely side effect. When you’re dehydrated, you’re more likely to activate the herpes virus. But, the NHS has stated that drinking one or two cups of coffee won’t dehydrate your body. Important: The health experts recommend drinking water, but moderate coffee consumption shouldn’t be a problem. Why is Arginine-to-Lysine Ratio Important? Lysine and arginine are both strong amino acids. L-lysine is widely believed (there are conflicting reports) to reduce the number of outbreaks and heal active cold sores. Conversely, arginine is a cold sore trigger. Few experts dispute that arginine triggers cold sores. From a dietary standpoint, many HSV-1 carriers are on a quest to consume foods that are high in lysine and low in arginine. The concept of “trigger foods” is usually based on high arginine percentages. There is nothing (percentage wise) to suggest that coffee, when only lightly consumed, should be an issue. Instant coffee, based on a 200-calorie serving, contains 80mg of lysine and 44mg of arginine. These are not numbers that should cause alarm. In fact, these numbers should be beneficial. Coffee that is brewed from grounds and prepared with tap water is a split. There are 200mg of lysine and 200mg of arginine. These numbers, while not lysine-heavy, are not a red flag. Studies suggest that if coffee is a trigger for HSV outbreaks, it is so because of an excessive amount of caffeine. The stimulation is likely to be the catalyst that can lead to temporarily weakened immune health. Arginine, at least based on the percentages, does not seem to be a primary trigger. Regardless of whether your morning beverage is instant coffee or regular Coca-Cola, both are stimulants. If consumed in moderation, there is nothing to suggest that either would act as a trigger. If you are consuming a Coke shortly before bed, it is more likely to have an impact on your sleeping patterns. When the body is being fed a stimulant, your natural ability to relax has been severely compromised. This can lead to crashes where you feel sluggish and fatigued. If your natural instinct involves counteracting those feelings with more caffeine, then you are back on the negative cycle once more. Unless you have a disease or illness, your immune health should function normally. However, a lack of sleep can prevent your body from recharging. Similar to a battery, your immune system is only at peak efficiency and can fight off viruses when it is sufficiently charged. 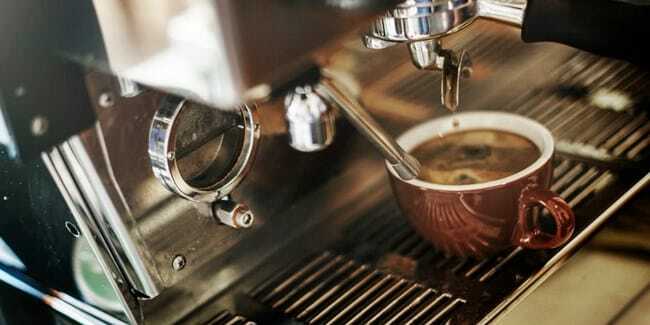 After concluding that caffeine, the stimulant that can weaken your immune health by disrupting your sleep patterns and dehydrating the body, we can safely assume that decaffeinated coffee is likely to be safe. While many people use coffee for a quick energizing boost, others enjoy coffee purely for the taste. If the flavor is what you crave then leaving out the caffeine could be a win-win situation if you’re prone to getting cold sores. Put decaf through a trial-and-error period and record your findings. Caffeine can increase the stress on your body from both a mental and physical standpoint. Taxing your hormones, caffeine can lead to major disruptions that can harm your immune health and increase your risk of developing a host of diseases. How does it all work? Caffeine causes your brain and nervous system to work overtime. In effect sending improper responses to your body. This is what causes you to feel on edge after you’ve consumed a large amount of caffeine. What’s known as the “fight-or-flight” response can kick in and cause your stress hormones to rise to unhealthy levels. Caffeine can lead to high blood sugar, cholesterol, and the suppression of an otherwise healthy immune system. These reactions can render your system impaired and unable to keep harmful cells, viruses, and bacteria in check. The most common side effects of caffeine are nervousness, restlessness, and increased heart rate. 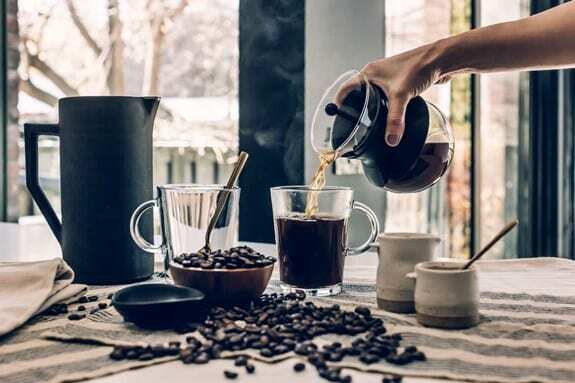 While many of these symptoms are associated with the buzz people long for when consuming caffeinated products, more severe issues can also arise. Stomach irritation – burning and bloating. Insomnia – pre-existing sleep disorders can be made worse. In addition to side effects, consumption of caffeine has other safety concerns for specific groups of people. Women who are pregnant and consume high amounts of caffeine may be at risk of miscarriage and other issues. Caffeine can also enter into breast milk, so it is crucial to monitor caffeine consumption well after labor if you are a nursing mother. Individuals with an anxiety disorder, bipolar disorder, and bleeding complications are also at risk. The bar seems to be set on or around 400 mg per day. That is the equivalent of 4 cups of coffee or 10 cans of cola per day. The Mayo Clinic sets the number of 400 mg appears to be set based on above-normal side effects. The line of 400mg suggests that the normal buzz or pick me up can be overdone if consumption is increased. This would be the mark where noticeable side effects would enter the fold. It is best to monitor the flow of your day and how you respond. If you are drinking a cup of coffee every hour that could be viewed as a bit excessive by most standards. Another thing to consider is your late night habits. Are you consuming heavily caffeinated sodas or energy drinks before bed? If so, you may have a caffeine dependency concern. As a carrier of HSV-1, do you find that you get cold sores more frequently when you drink more caffeinated soda beverages and coffee? If so, it’s likely to be a problem for you. We’re all affected by ingredients differently, so it’s a factor that needs to be monitored. One of the greatest concerns involving caffeine and cold sores is the lack of sleep. Logically speaking, if you are drinking coffee, soda, and energy drinks like water, then you can expect your sleep cycles to be dramatically altered. Through this harmful process, your body becomes increasingly worn down. When quality sleep is reduced to a minimum, your body is no longer able to keep HSV-1 at bay. Caffeine can throw a wrench into your body clock. This is what ultimately causes sleep cycles to change.5 The simple act of getting tired can be all but removed if caffeine levels are off the scales. Recent studies suggest that consuming caffeine six hours before bed can reduce your total sleep time by 60 minutes. This would imply that caffeine consumed not long before bed is a significant issue. This plays directly into the hands of HSV-1. Why is Getting No Sleep a Problem? The inability to sleep means that your body, in every way, cannot recharge. Running on empty day after day, your body is unable to protect you from harm. This includes being unable to keep HSV-1 dormant. Many times the concerns that caffeine can pose are not noticed right away. You may find yourself hitting the wall then being unable to stay awake for longer periods of time. Your body will eventually put you to sleep whether you like it or not. This is not a situation you want to find yourself in from a health standpoint. If you are in otherwise good health, it is important to limit your caffeine consumption if it has begun to negatively impact your daily life. If you find yourself sluggish without your daily pick me up, that implies that you are not getting enough quality sleep. Depending on caffeine to make it through the day means that sleep is escaping you. That alone is a major issue. HSV-1 or not. Some 40+ years ago, the concept of mixing instant coffee with water to make a healing paste was born. Quite subjective, there is nothing to suggest this method will heal an active cold sore. Similar to the bag/pouch treatment method, coffee being applied to the lip (in any form) is not likely to work if the tissue has already been infected. There is no significant evidence supporting claims that coffee can stop the replication and growth of an active HSV-1 outbreak once an area has already been compromised. The best way to safely and effectively heal cold sores is through the use of an FDA approved OTC medication. Selections like Abreva can provide fast relief if applied at the first sign of trouble during the tingle or prodromal stage. While the jury is still out on coffee and caffeine, there is more to suggest that a heavy stimulant is more harmful than helpful. When weakened immune health is a known cold sore trigger, it is best to reduce your consumption of caffeine and not see it as a treatment. Although many years ago caffeine was deemed to have decreased the spread of HSV-1 in rats, nothing has ever been proven to suggest those findings have directly translated to humans. Given what we know about caffeine and how it reacts in the body, moderation and responsible consumption are key. If you suffer from frequent cold sore outbreaks, it is all the more important that you avoid late night consumption to ensure quality sleep. The ace in the hole could be found in decaffeinated coffee. If you fancy the taste over the boost, decaf could be your new best friend.